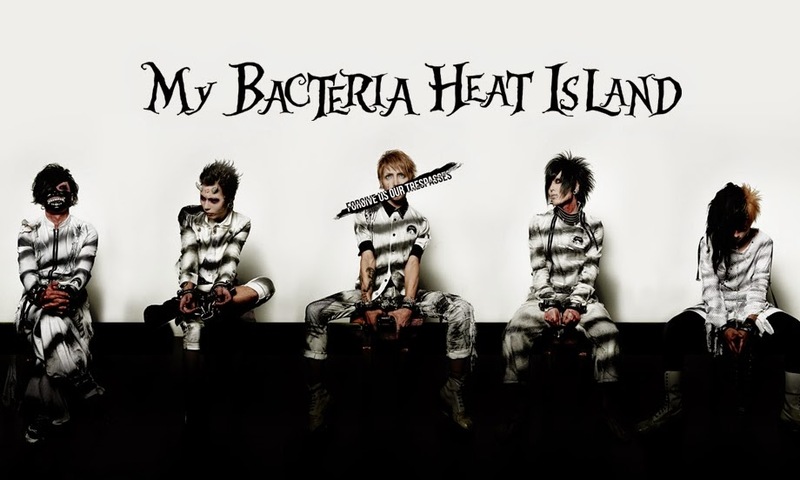 The Weekly Quickie: My Bacteria Heat Island, Plastic Tree, ONE OK ROCK, AKi, DaizyStripper, REDRUM, FIXER, LUCHe. We’ve got a lot of new releases announced this week, starting with My Bacteria Heat Island. At their one man live at Takadanobaba AREA, they announced they will be releasing a new mini-album in April 2015. No exact date or title as of yet, but we’ll be sure to keep you posted. They also announced their next one man taking place at AREA on July 20. Plastic Tree will be releasing a live DVD on February 11. 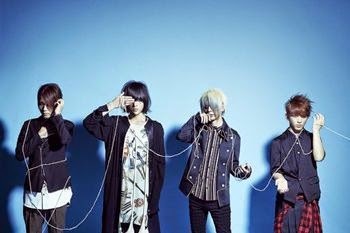 Titled Kessei 20 Shunen “Jyunen” Tour “Soshite Parade wa Tsuzuku” Tsuika Koen Shibuya Kokaido it will feature their live held at Shibuya Public Hall on October 19. 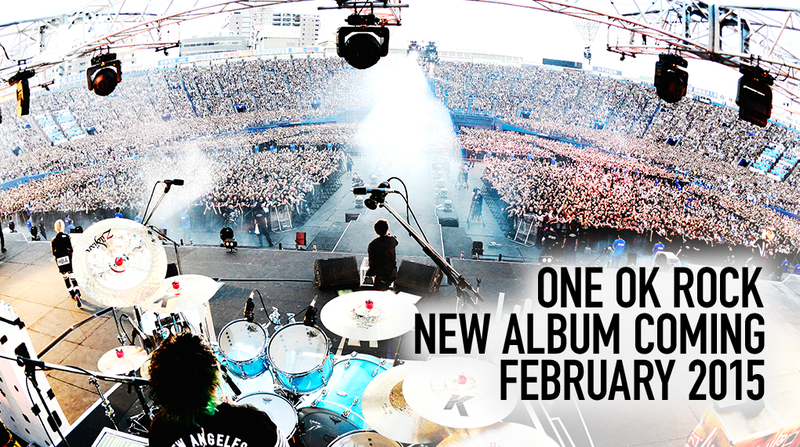 ONE OK ROCK has also announced the release of their seventh album 35xxx on February 11. The Limited Edition will include a DVD featuring a studio acoustic session and will run you 3150yen. Remember that mysterious “unidentified new artist” Dangercrue teased us with last week? Well, all has been revealed. SID’s bassist, AKi, has announced he’s going solo! 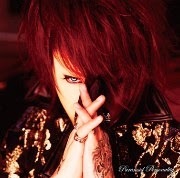 His first solo album, ARISE, releases January 28 and features lyrics and vocals by AKi. His first solo live, titled “A Feeling Begins to Arise,” will be held at Tsutaya O-East on February 3. XENON LA has announced another livestreaming event, this time with Daizy Stripper. Chat with the band via Skype and take part in a Cure Magazine snap shot session before the show. The event starts at 8PM and is totally free, so head down to Little Tokyo in your best Jrock gear and Japanese street fashion and rock out! I’ve got a couple of bummers for you. REDRUM recently announced their disbandment following their live on February 27 citing musical differences. To be honest, this doesn’t really surprise me given their recent lineup problems (they were done when they lost Zaku if you ask me), but it’s disappointing all the same. 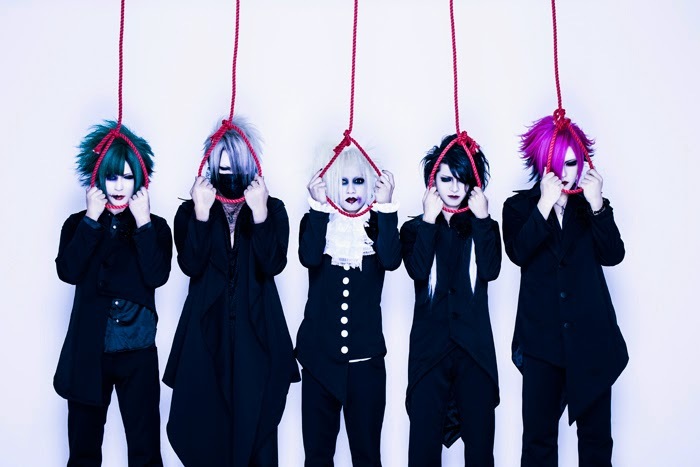 Guitarist Kaname, who was originally slated to leave after their live on December 15, has decided to stick it out until the end and the band will at least finish with all their members. FIXER bassist Makoto has announced he will be leaving the group and retiring from music after their live at Shinjuku RUIDO on January 14. He states that the image of a bassist doesn’t fit his current outlook…whatever the heck that means…so he’s decided to stop all musical activities. Anyone else seeing a pattern? 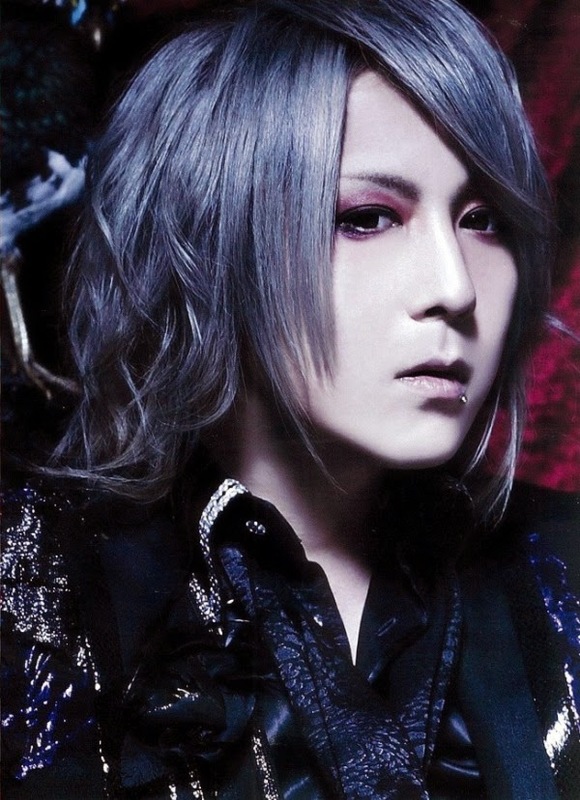 You may remember about a month ago, we reported on LUCHe guitarist, Hikaru’s, break from activities due to illness. Well, it seems he has decided to leave the band for good. Hikaru will depart after their live in Shibuya on January 31. There’s no indication on whether this decision has to do with his health or if he’s just decided to move on, but either way, we wish him the best. And, on a more personal note, the Quickie will be taking a bit of a hiatus as I will be in Japan starting December 25! Not to worry, I won’t be gone long. I return on January 9 and I’m sure I will have LOADS of stories to tell! I will be posting as regularly as possible on my social media accounts, so feel free to follow me on Twitter or Tsu to keep track of what I’m up to! And that’s the Quickie! Sayonara! Nighmare, Mejibray, and Royz have announced they will appear in the first ever Chinese Visual Kei Halloween Event, 聖夜狂想祭—-Halloween Party, in Shanghai, China. The event will take place on November 1 and will also include Chinese visual band, Lilith. 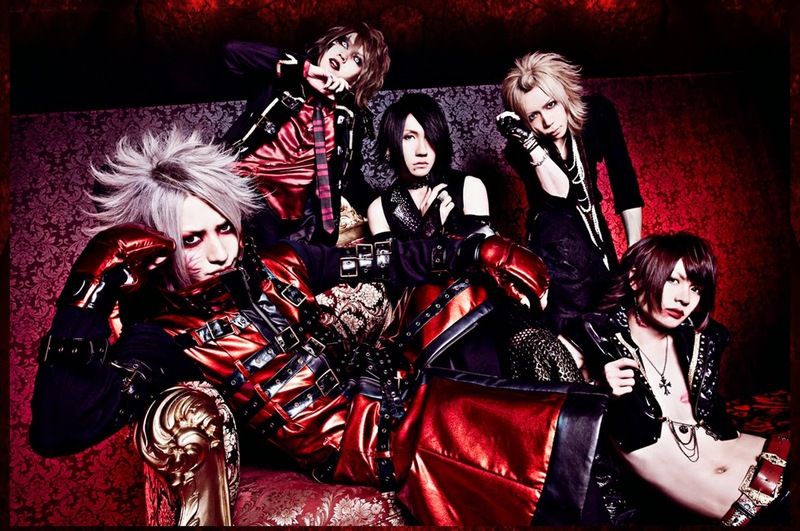 This will be Mejibray’s first show outside of Japan, so this is a huge step for them. Tickets, which include a VIP option, can be purchased here. As you have probably heard by now, young visual group, LUCHe. was involved in a roll-over car accident on September 4. Details are sparse and scattered, but it seems that all members came out okay without any life-threatening injuries. They will, however, need to take some time off to recover and, between that and damage to their equipment, there is no word on when they will return. Needless to say, upcoming performances have been canceled. I saw a picture of the car and, frankly, it looked horrifying. I’m just glad everyone is okay and wish them a quick and easy recovery. In more positive news, D.I.D has announced a tentative return from hiatus with a live scheduled for October 5. Called Akane(Re)birthday ONEMAN「Gott ist “DA”」, the live will be held at Takadanobaba AREA and features the triumphant (hopefully) return of vocalist, Akane, who had to take some time off for his mental health. Personally, I am super excited about his return. They have also announced the planned release of their previously canceled new single, Fatal Error Race, but no word yet on a release date. And these guys aren’t wasting any time. Along with two new releases and their first one-man set for October 2, they will also be featured in the October issue of Shoxx Magazine Vol 260, so make sure to pick it up. 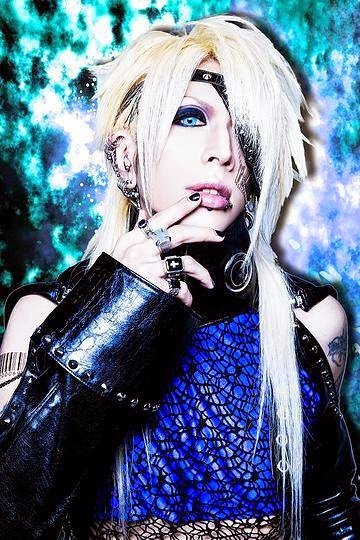 SCREW bassist, Rui, has announced he will be leaving the band and ceasing all music activities to pursue his interests as a fashion designer. 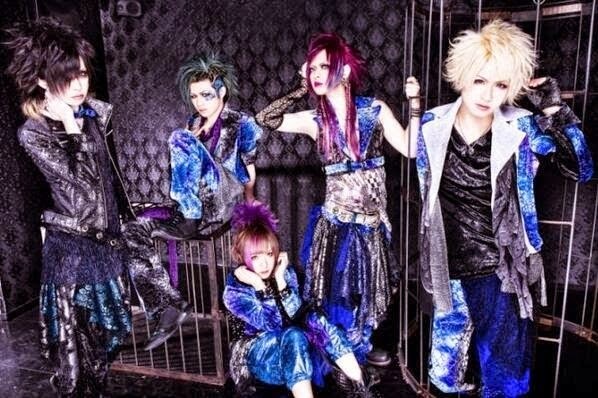 Rui will depart on December 28 and the band will continue on with four members. Does this feel a little strange to anyone but me? 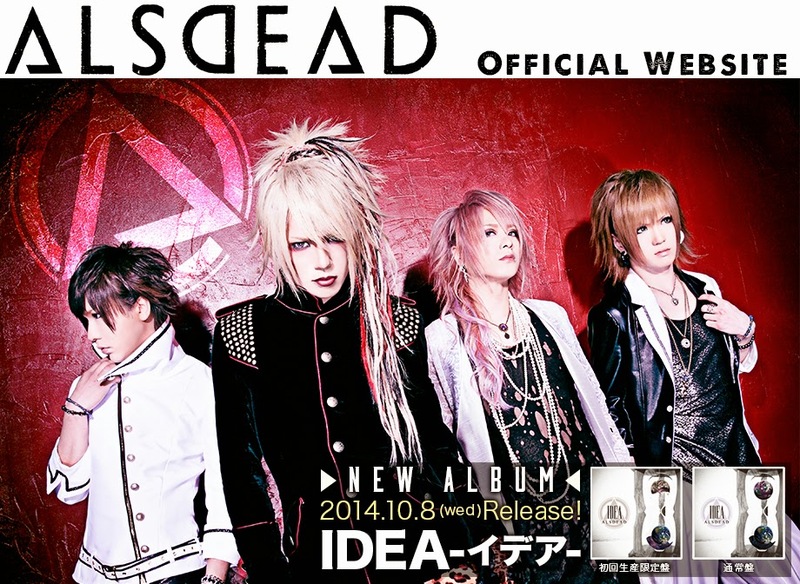 ALSDEAD has released a preview of two of the tracks off of their upcoming album, Idea. The tracks are Adrenaline and Hero and, let me tell you, they ROCK! Check them out on their official soundcloud account and don’t forget to pick up the album October 8. And a last minute add that just came to my attention this morning and is too frikkin’ good to pass up. New band announcement from ex-AND Eccentric Agent guitarist Kili and drummer Suzune! The band is called Liraizu and they look AWESOME! They already have a six song EP called Secret Club planned for a November 27 release along with a handful of lives and a whole slew of instore events, so make sure to have a listen and check their homepage for more info. And that’s the Quickie. Rock on. Speaking of cool collaborations, guitarist Takaha of pop-metal group Yousei Teikoku will be remixing a song on super-band Sukekiyo’s debut album, Immortalis. Sukekiyo consists of Dir en grey’s Kyo, 9GOATS BLACKOUT’s Uta, Kannivalism’s Yuchi and Rentrer en Soi’s Takumi and Mika, which pretty much makes them my favorite project ever. Pre-order it here! What happens when you get a bunch of people together who’s only thing in common is their funny accents and a love for Visual Rock? Naniwa VKei Rengougun! Visual Kei bands of the Kansai region are uniting to promote the power of the Kansai-originated bands with a collaboration album and live at Osaka BIG CAT on July 4th. Bands participating include Crimson Shiva, Zin, tatoeba konna hanashi, BIOSPHIA, FEST VAINQUEUR, Minus Jin-say Orchestra, Lin -the end of corruption world-, LUCHe, the Raid, RevleZ and Royz. The album is NOT a compilation, but will include ALL NEW SONGS from these bands, so don’t miss it! REIGN! 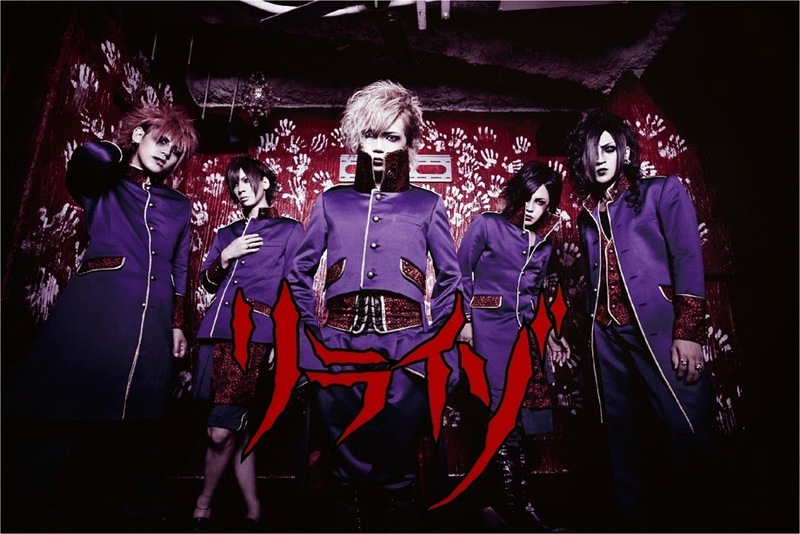 Former AND Eccentric Agent vocalist, Ikuma, and drummer, Kaji, are joined by newcomers Nagi, Ryuzi and Tano to form a new band with a dark, riotous sound that is sure to set any loud-kei fan’s heart pounding. The band has been performing steadily since their inception and their first single, Giwaku, shows us in three songs just what this band is capable of. From the dark and melodious Death WaltZ to the cacophonous Rasetsu (that drum line omg! ), their new but strangely familiar sound shows great promise. Giwaku is the first of five promised releases. I can’t wait to see what comes next! Go get it here! And that’s the Quickie! Peace out!